What is Difference Between Clover and Wildflower Honey? For years I wasn’t a believer in varietal honey. I thought all honey is the same. How can you possiblily taste the difference? Well that changed when I really started to give honey a shot. I have seen the light! You should too. Different honeys have different flavors, textures, colors, even aromas. There are tons of varietal honeys out there. According to the National Honey Board, there are over 300 varieties of honey produced in just the United States! In trying not to overwhelm with 300 hundred plus options right off the bat, I want to start your honey varietal education with information on the top most commonly found varietal honeys in the American supermarket. Those two honeys are clover and wildflower. We are going to explore how these two honeys differ. 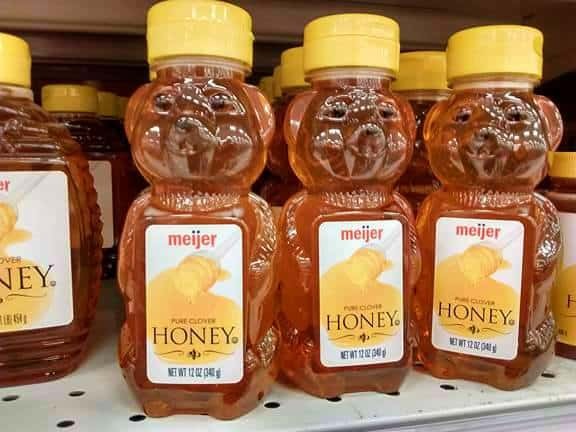 This is your generic store brand clover honey that comes in a bear. Not much exciting here. By far the most common variety of honey you will find is clover (we will get to why in a moment). This honey is collected from bees whose nectar source is clover. Most of the time the honey will indicate clover but not specific what type of clover. Clover honey is often collected from Dutch, sweet, white blossom, and yellow blossom clover. Bees absolutely love clover. The best clover honey comes from a 4-leaf clover found at the end of rainbow. That would be cute if that were true. Most of the clover honey you find in the stores comes from various sources that is blended together. 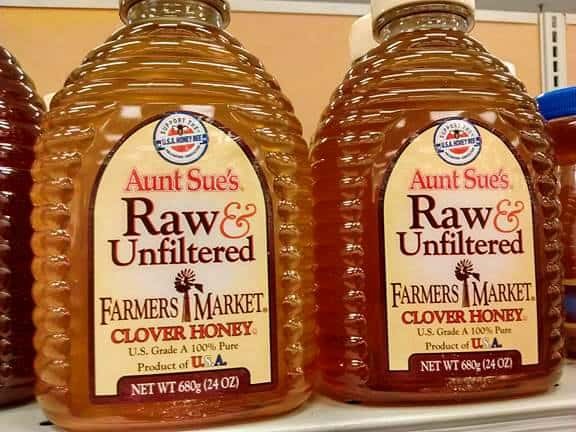 This is done so the clover honey tastes the same whenever you buy that brand. If you buy clover honey from a particular source that only gets their honey from one region you will taste different from year to year. I personally don’t think that is a bad thing. You see that all the time in the wine world – different vintages. Clover honey doesn’t have to be boring. 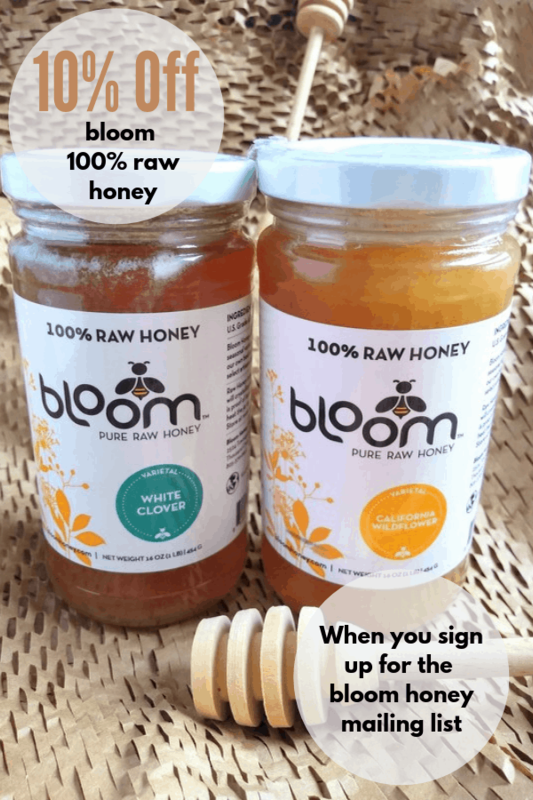 Bloom 100% Raw Clover Honey is the perfect example of what a good clover honey tastes like. Clover honey has a clean, mild taste without any bitterness. It’s flavor will not overwhelm anything you pair with it. 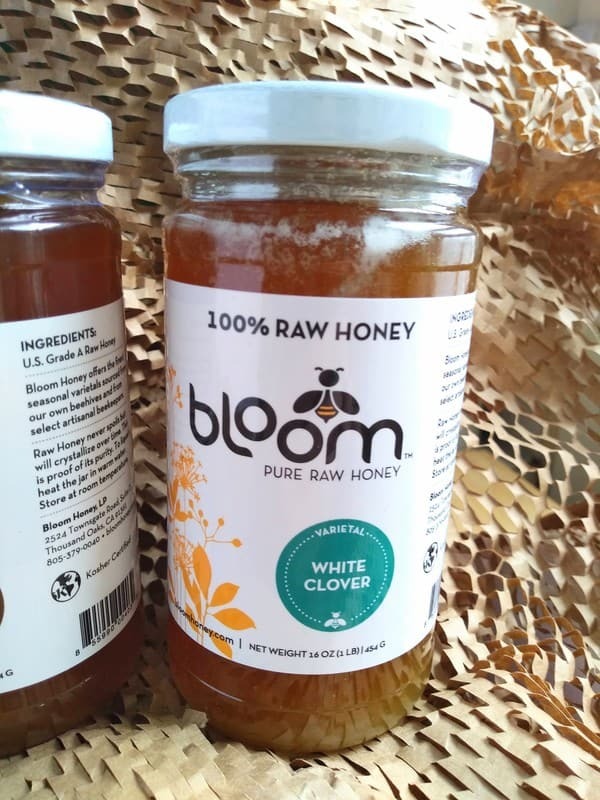 My favorite clover honey of all time comes is bottled by Bloom 100% Raw Honey. It is an outstanding light honey with a flavor that is pleasing to everyone. If you have only had store brand clover honey this one will knock your socks off. Raw and unfiltered honeys will give you the best taste with all the nutritional benefits honey provides. 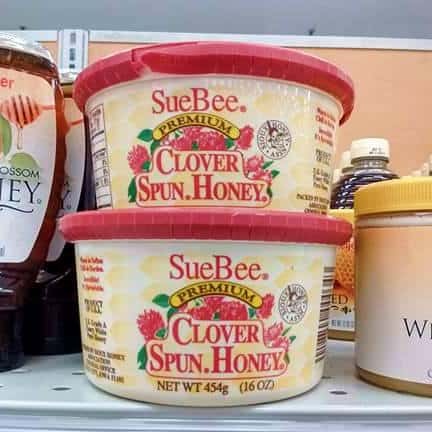 Why Is There So Much Clover Honey? This is clover honey that has been spunned so that it is spreadable. North Dakota is the largest honey producer in the country by far. Clover is a great choice to grow as it fixes nitrogen into the soil and as I said before the bees simply love it. These high incentives are why clover honey is so common. Once Again Clover Honey comes in a glass jar with an appealing label. Any honey that strictly comes from wildflowers is wildflower honey. It is not a specific wildflower. Most likely wildflowers all grown in the same area where the bees are collecting from. That opens up many a possibly. Time of year often effects the taste of the honey. It has been my experience that wildflower honey harvested in the late spring/early summer months is lighter in color and flavor. The stuff that is harvested in the late summer/early fall is darker and more robust in taste. All has to do with the types of flower available at the time the honey is made. Wildflower just like clover honey (or really any honey) can change from year to year. Mass produce wildflower honey is mixed together from different sources to create a uniform flavor. That is likely the case with the honey pictured above. Here is an example of a Summer Wildflower Honey. This honey was produced by bees collecting from wildflowers that bloom in the summer months. 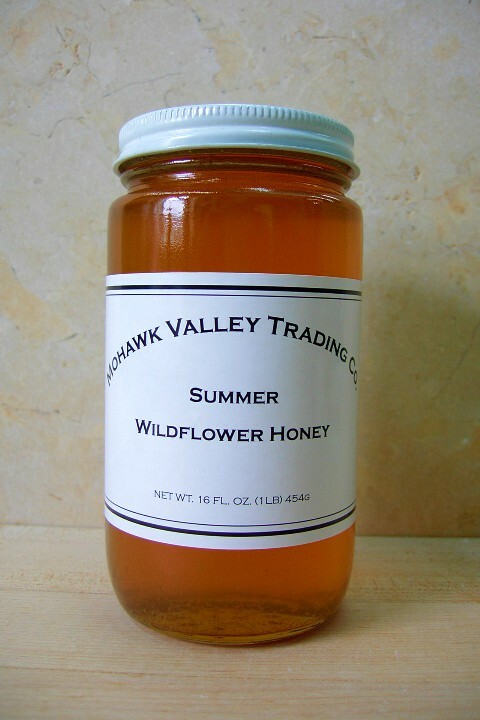 Summer wildflower honeys are usually lighter in color than the Fall wildflower honeys. To experience the range of wildflower honeys look for local sources, such as the one above. Some wildflower honey will come labeled the time of year it is collected. It’s fun to find a producer that has different wildflower honeys from different seasons and compare the two. Wildflower honey is a taste which reflects a specific part of the world during a specific time. An edible tribute to the small section of the planet that the wildflower honey comes from! It is a flavor representation of a specific place in time and space. I adore that thought! I recommend seeking out wildflower honey that specifically from different regions (such as the one pictured below). Wildflower honey is produced all over the place from the farmlands of Midwest to the deserts of Arizona. Even wildflower collected 50 miles apart can be drastically different. While this honey doesn’t say wildflower honey on the bottle it is an actual type of wildflower honey. The source is flowers from the Mexican high plains. 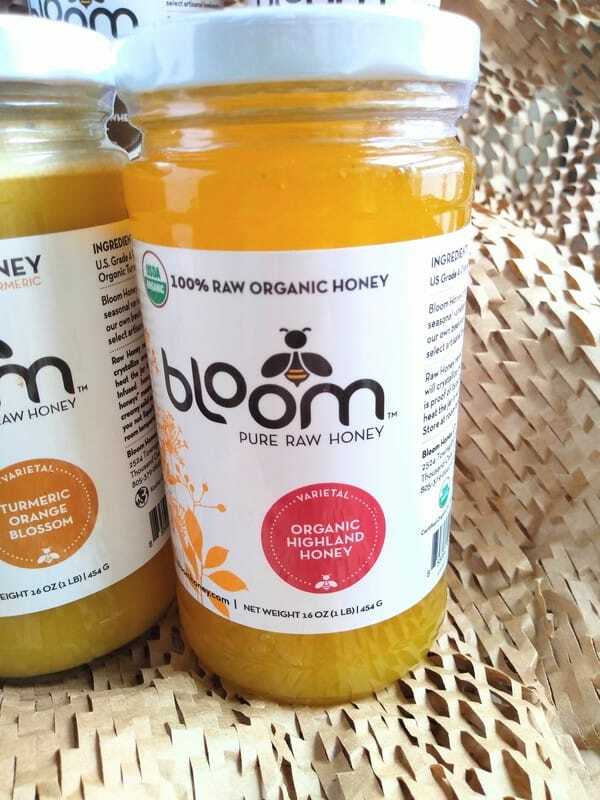 This Organic Highland Honey from bloom has a hint of pineapple, that is sweet and robust. The texture is more spreadable than some of the other wildflower honeys I have had. 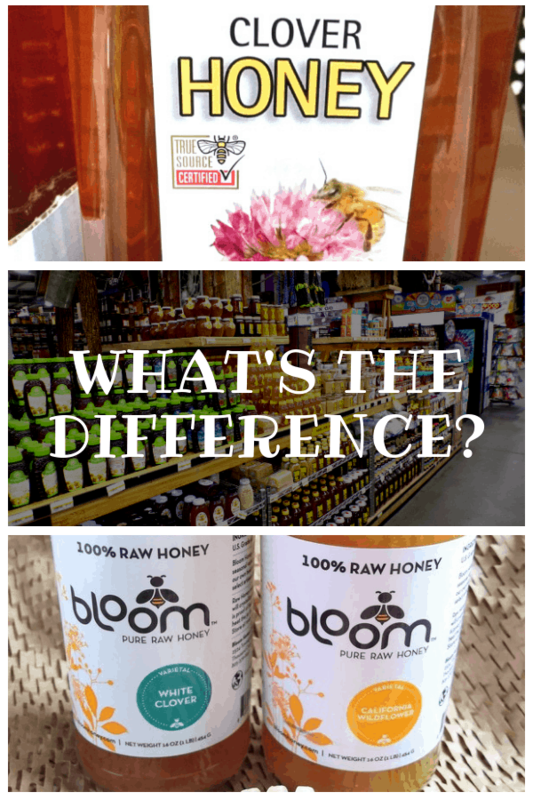 Now that you are a little more familiar with clover and wildflower honey, let me explain the difference. In terms of sweetness, all honey is sweet, and I think it can be hard to dedicate if one honey is sweeter than another. 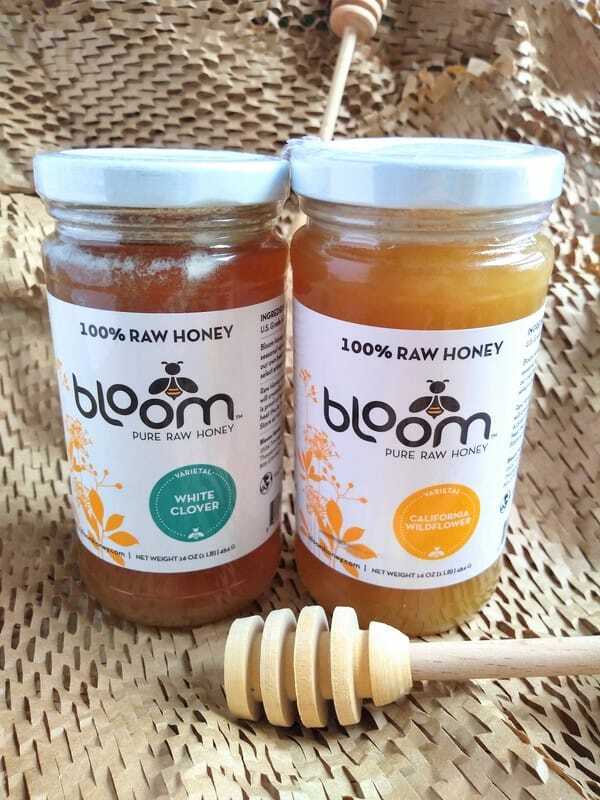 Both of these clover and wildflower honey jars contain 100% Raw honey from bloom. If you are going to try a honey tasting this is a good place to start for the beginner. The difference really comes down to taste. Clover honey is in general milder in flavor than wildflower. Another reason why clover honey is common is because it is mild. It is a honey most people will agree on, which is great for avoiding fisticuffs at the table! If you look at the color, clover honey is usually lighter in color than wildflower honey. I find the darker the honey, the stronger the flavor. Buckwheat honey is almost black in color and it has a really strong, robust flavor. Wildflower honey fall in terms of flavor between clover and buckwheat. You can taste floral undertones in wildflower honey. Which Honey is Better for Cooking With – Clover or Wildflower? I think if you got a recipe that calls for honey I would opt for wildflower honey over clover. Due to the stronger flavor of wildflower honeys, you will taste more of the flavor of the honey in your finished product. 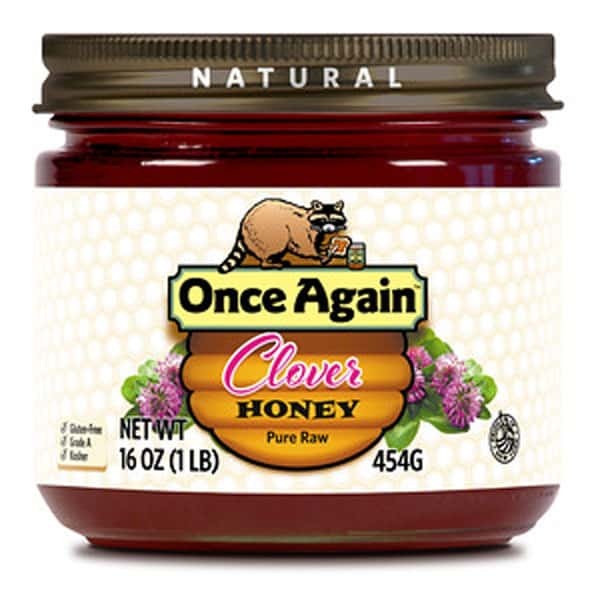 Save clover honey for a hone you use at the table for things like biscuits and other breads. Previous Post: « What Ingredients are Found In Ham? That was interesting. Thank you, Eric. You’re welcome. Glad you found it useful. Hope you will enjoy the other posts during What’s the Difference Week! Yes, thank you. My local honey is clover or wildflower and I never had found the difference out. Until now, thank you for that education. You’re welcome! Where do you get your local honey from? The Wildflower honey I just purchased at the local farmers market taste terrible! I am sure I’ve never tasted this kind before, but we were told it was better than clover honey for fighting allergies. Is this true? As I will gladly throw it out, if not! I’m also concerned it might be bad! Supposedly it was just harvested this month. Any advice would be appreciated. There are so many different wildflower honey out there. Was the honey more on the dark side? Some people don’t like wildflower honey that is darker. I wouldn’t give up on wildflower, find one that you might like better. I do prefer it over clover for those that have allergies. Save Money on Raw Honey! * This is an affiliate link. If you choose to click through and make a purchase I will receive a percentage of the sale, at no additional cost to you.